Summer is that time of year we want popsicles to keep us cool and this t-shirt is all about that. You can get this t-shirt in styles for men, women and kids and yes it does come in many fun colors and of course many sizes and they are all made from 100% cotton. 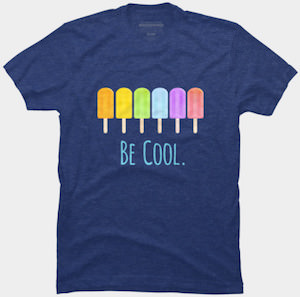 On the shirt yo can see the words “Be Cool.” and above that you can see 6 colorful popsicles and they of course would keep you cool at a hot summer day. A t-shirt like this is great fun for anyone to wear specially on that really hot summer day. This t-shirt is all about a cool fashion accessory that is specially loved by a curtain Doctor. 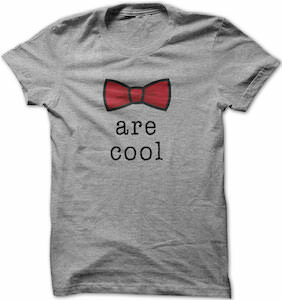 On the t-shirt you can see a red bow tie and below that the text “Are Cool” making the t-shirt really say “Bow Ties Are Cool” and that is something Doctor Who would say and you have to admit it looked darn good on him. You can get this bow tie t-shirt in men and women’s styles in a range of fun colors and sizes going from Small – 4XL and they are made from 100% cotton to make it fit and feel just the way you like your t-shirt’s. Need a fun t-shirt to brighten your day? This t-shirt will solve that problem and will look good at the same time with your favorite pair of blue jeans. This t-shirt has a cute little possum strutting his stuff in his sweet shades. He is also giving the thumbs up to let everyone know he is cool and most of all awesome. 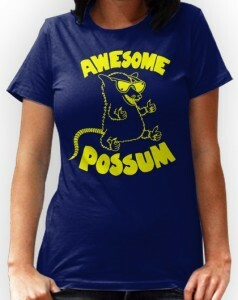 The words “Awesome Possum” is also on the front of the t-shirt. There are numbers colors to choose from for this t-shirt that comes in both women’s and men’s sizes. The sizes run from a Small to a 3XL, it is 100% cotton that is pre-shrunk and is soft the the touch. It is the Coolest Awesome Possum T-Shirt. If you are the cool one or want to be cool then this is the t-shirt for you. 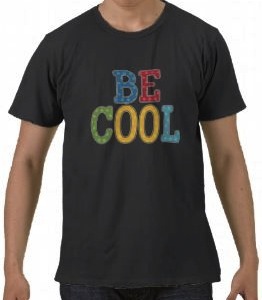 This t-shirt has a fun and colourful logo on it saying “Be Cool”. And not only is this t-shirt available the way we show it above, no you can get be cool in kids, adults, boy or girl versions in different sizes and colours. 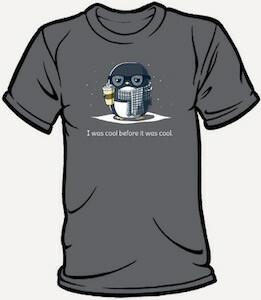 So if you want to make people cool or be cool yourself then get this Be Cool T-Shirt. Is you mom the coolest mom in the world? If so then it is time to let the rest of the world know about this. And the easiest way to do this is to get your mom this t-shirt. 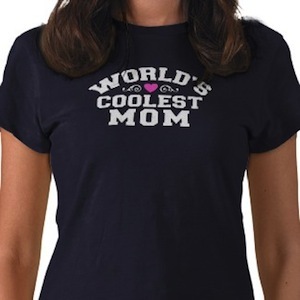 On this t-shirt it says “World’s Coolest Mom” and of course this t-shirt comes in other colors and styles so that it will fit the coolest mom. A t-shirt like this is the perfect gift for mothers day, a birthday or a holiday present. Get your mom the perfect present give her this World’s Coolest Mom T-Shirt. If you are an adult that like dinosaurs then you will love this t-shirt. The shirt is white but has a cute blue dino on it. A dinosaur that could be drawn by a kid. And below the dinosaur it says “Dinosaurs are Cool”. 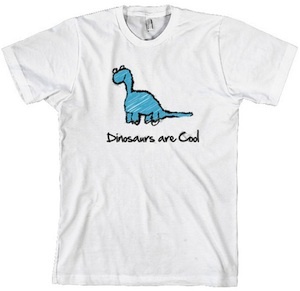 And yes dinosaurs are cool and if you think that then this is the t-shirt you should be checking out. Go and have a better look at this Dinosaurs Are Cool T-Shirt.